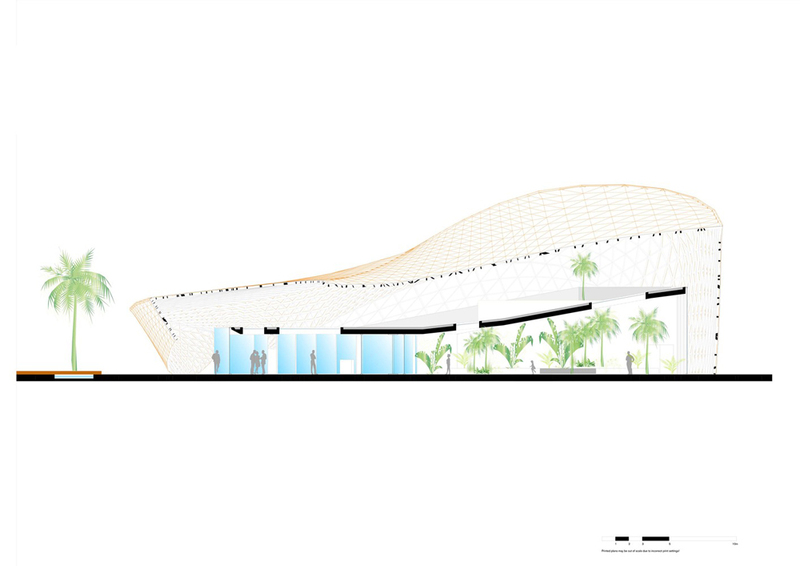 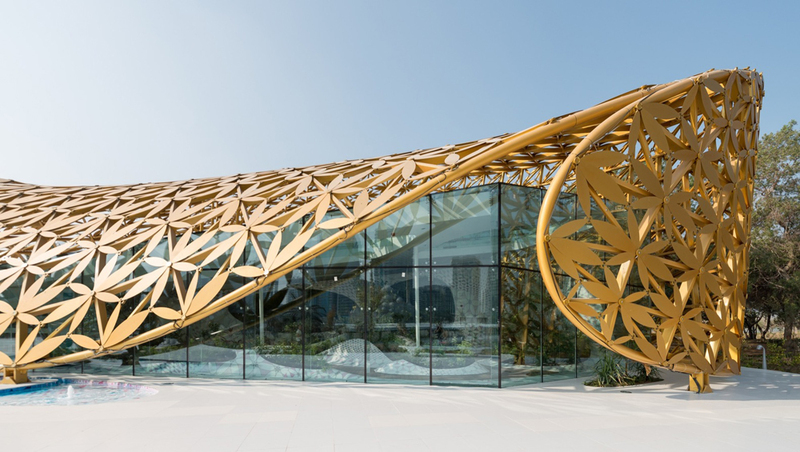 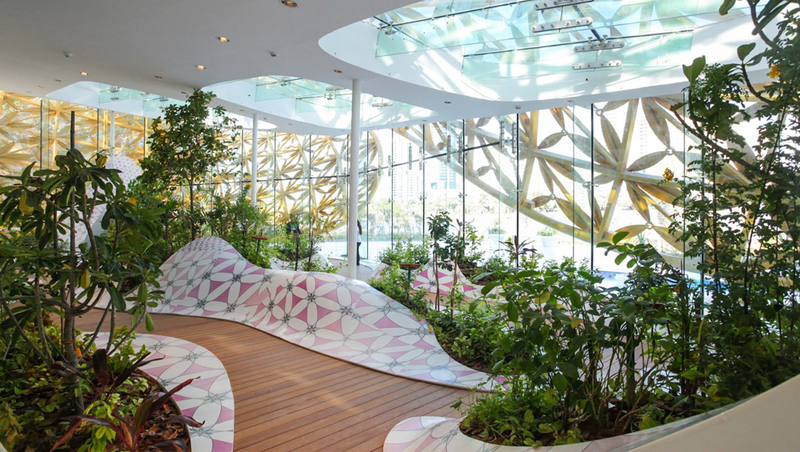 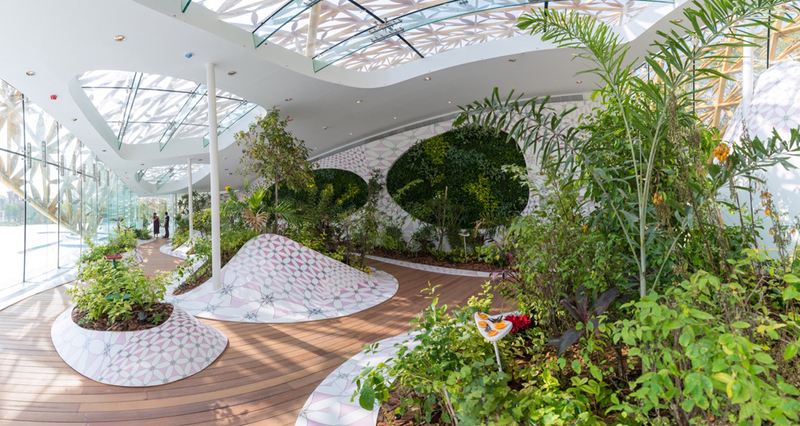 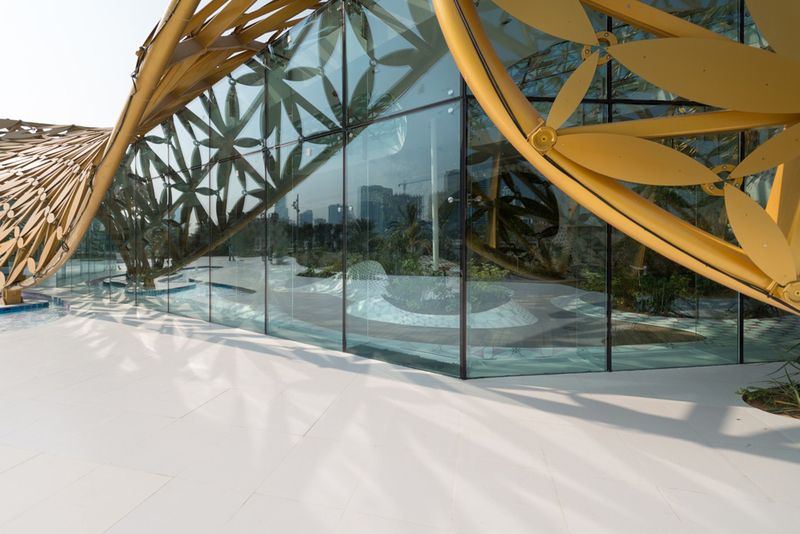 The Butterfly Aviary is located at the center of the Butterfly Pavilion built on Noor Island in the middle of the capital of the Arab Emirate, by German design studio 3deluxe. 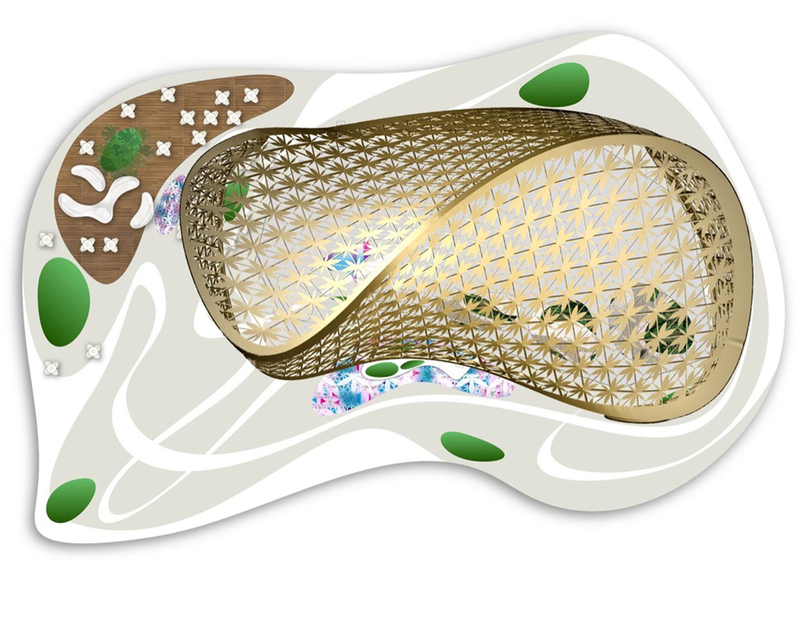 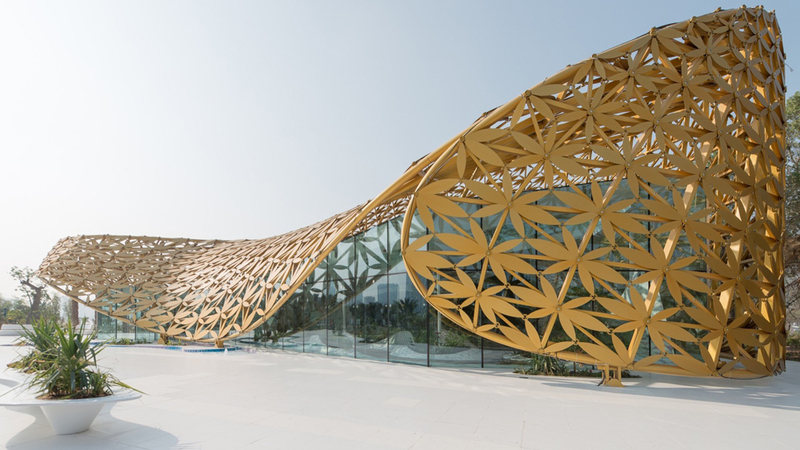 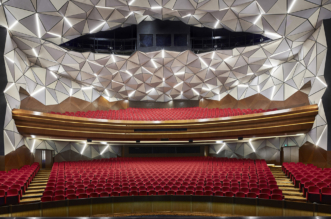 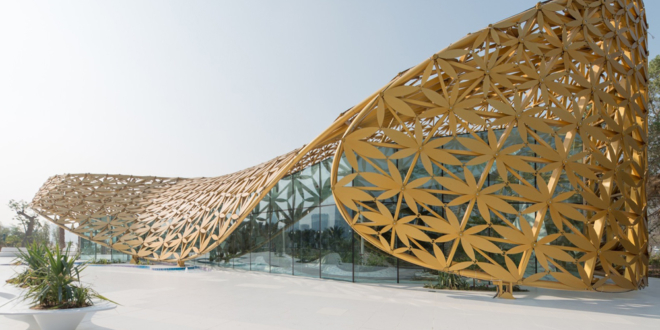 It has shaded by its defining golden roof with the polygonal architecture as an artificial eco-system, and its rainforest biotope – populated with countless butterflies – is housed inside a sealed climate skin. 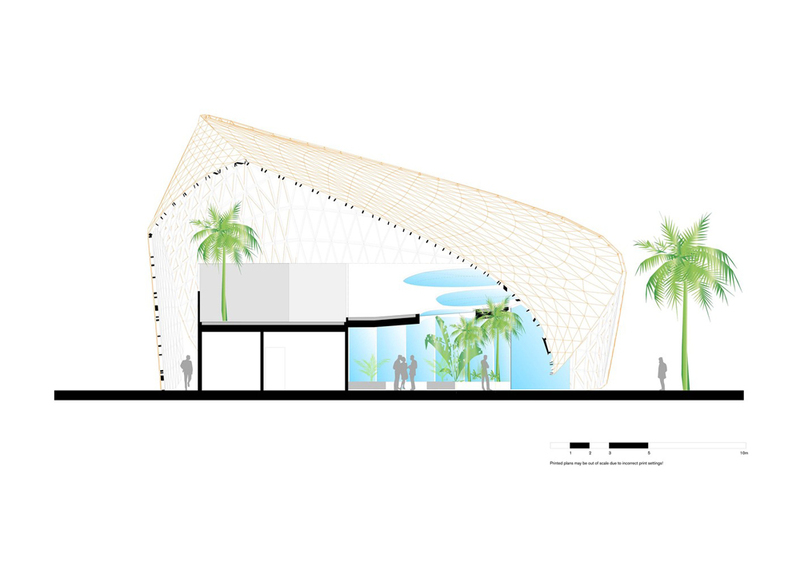 Providing just a minimal barrier between inside and outside, the biosphere’s steel structure is clad with an all glass façade construction. 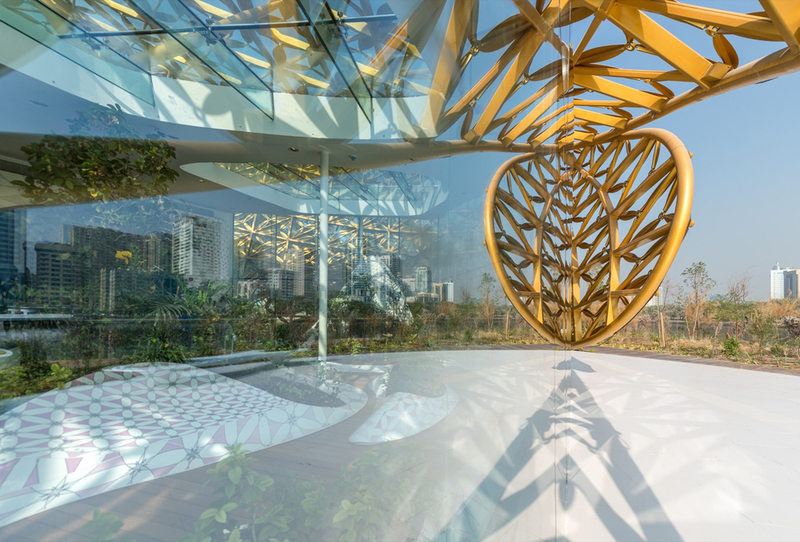 Organic skylights provide spectacular views into the shading structure and allow shadows of the golden leaves to enter the aviary, the shadows made by light that enters creates define of the mood inside the biotope. 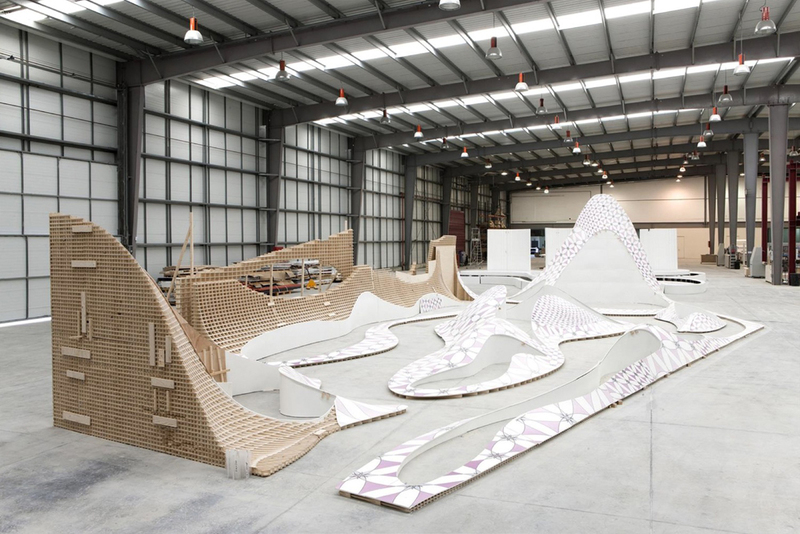 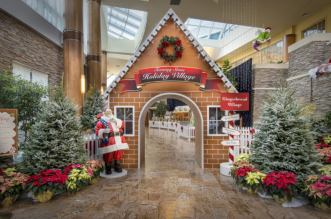 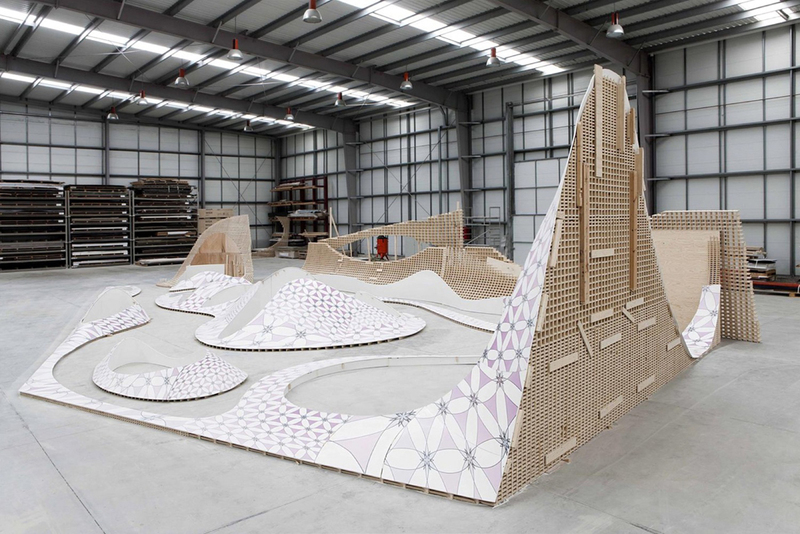 The three- dimensional puzzle was manufactured in a technically sophisticated process and assembled on site. 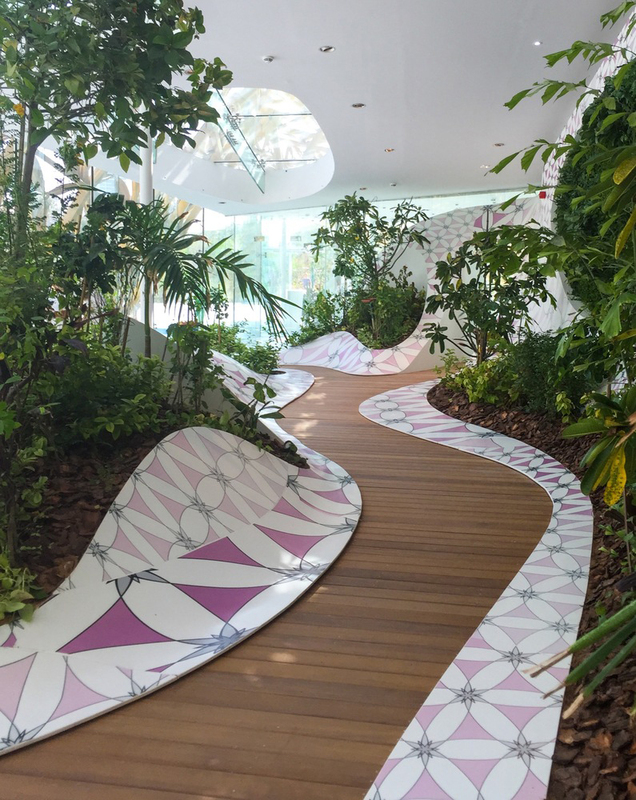 Numerous installations and small structures, light and media objects, unusual plants and a musical soundscape it gives rise to a holistic, multisensory experience. 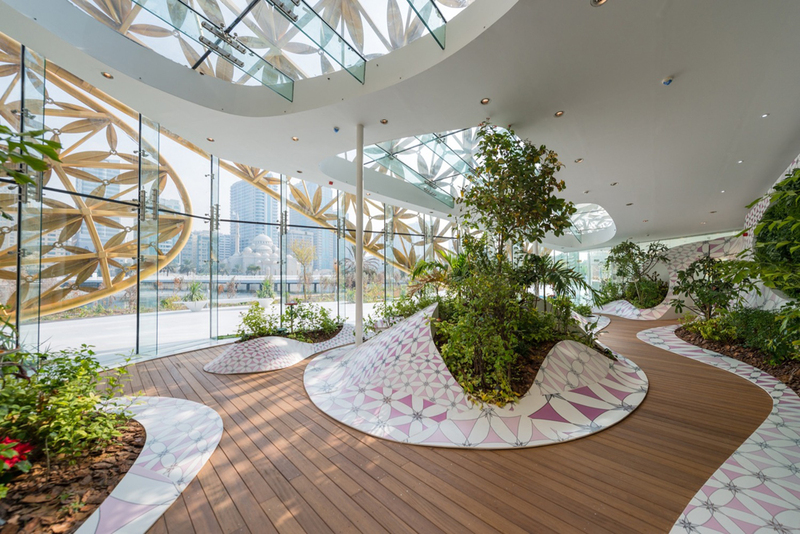 Plant tubs are integrated in its shape so visitors enter an all-over of walls, floor and ceiling. 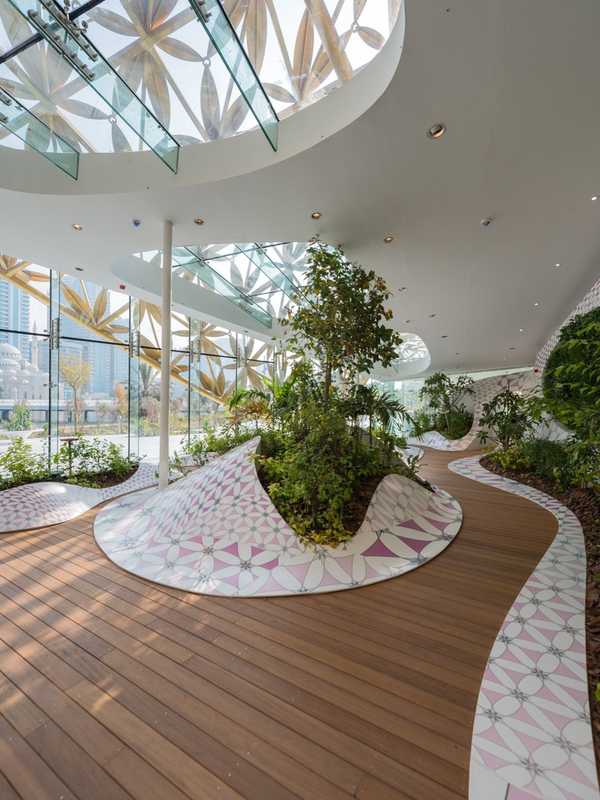 Wooden paths lead through an artificial landscape that eliminates all boundaries of traditional spaces. 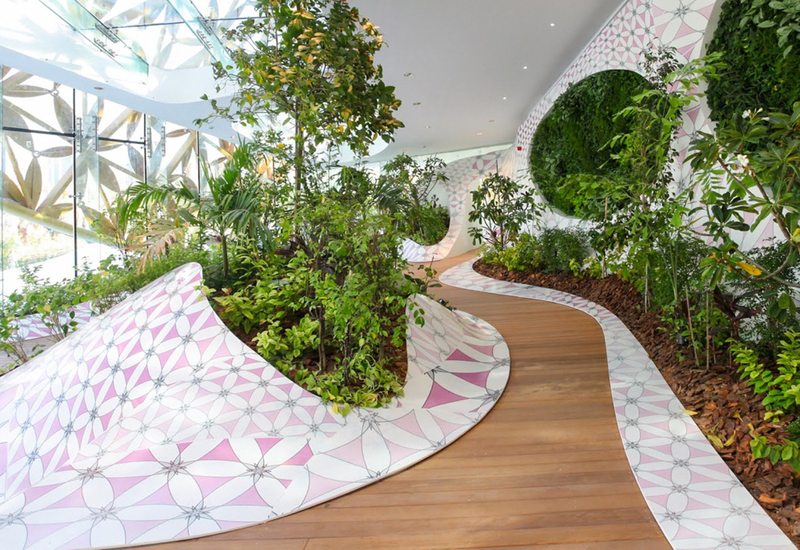 Nature seems to be growing from the floral print of the material that appears to be ground or vertical garden, depending on the position. 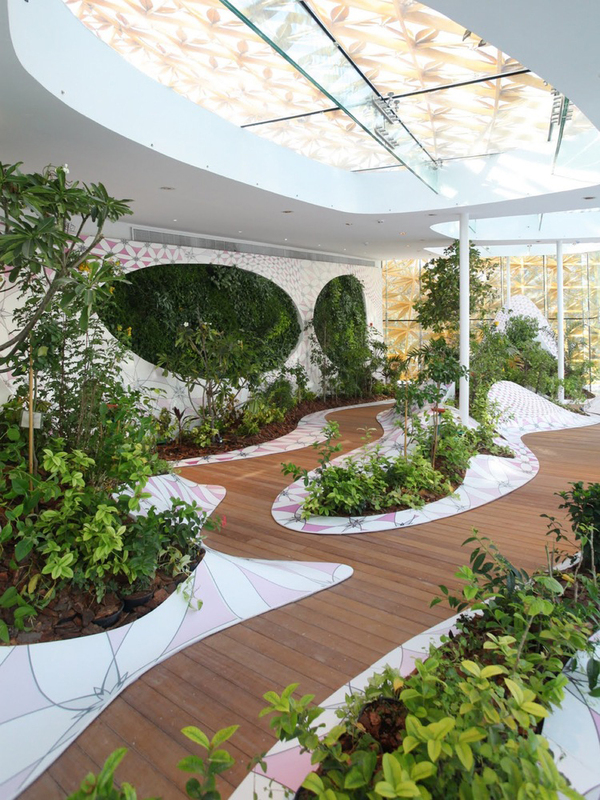 In the Butterfly Aviary the natural becomes artificial – the anthropogenic resembles nature.